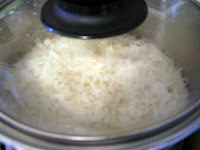 How to make the perfect fluffy rice without the rice cooker! It’s so easy!! There is nothing worse than crunchy rice. If you don’t have a rice cooker, you can still make the best fluffy rice in a saucepan right on your stove. This simple method ensures the best results. It also works in the Instant Pot! Toasting the rice before adding water and cooking on a low-temperature setting is my secret to making the best rice every single time. I use this rice with so many dishes, like the Quick and Easy Teriyaki Chicken, other Asian dishes as well as my Mexican Casserole. HOW TO COOK FLUFFY RICE? 1. Rice to water ratio is always 1:2. That means 1 cup of rice to 2 cups of water. Always! 2. 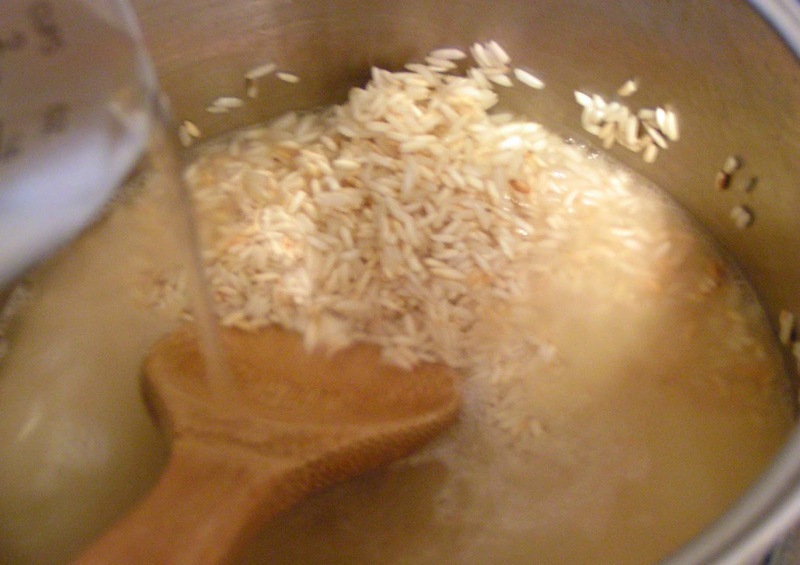 If you toast the rice before adding the water, it will always cook fluffy. Always! I have been cooking rice this way for several years now and it always works. Add the rice and toast it until it looks like this. You don’t want all the grains to be browned, but a mix of both. Add the water. Pour slowly as it will steam up. Be careful! The pot is hot at this point so the water will start cooking right away. 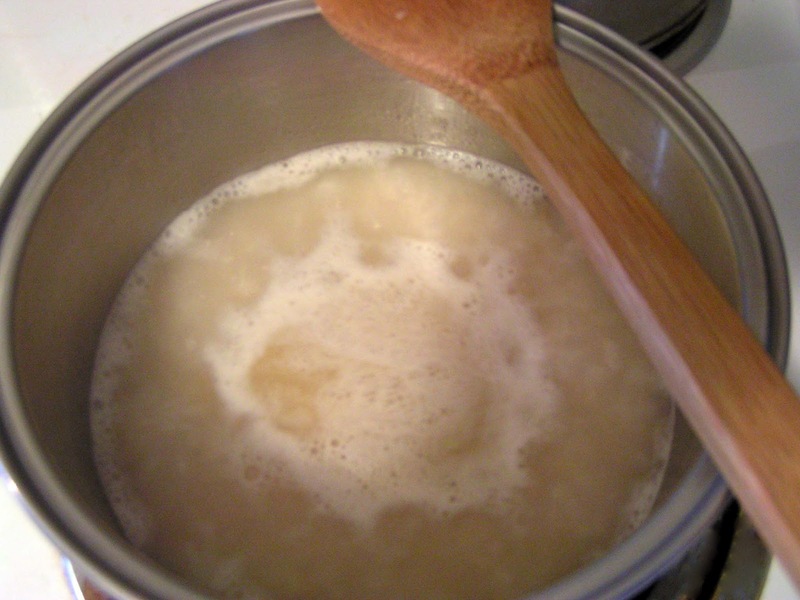 Reduce the heat to low, cover the pot and let cook until the water is absorbed and rice is cooked. It takes about 10 – 12 minutes. 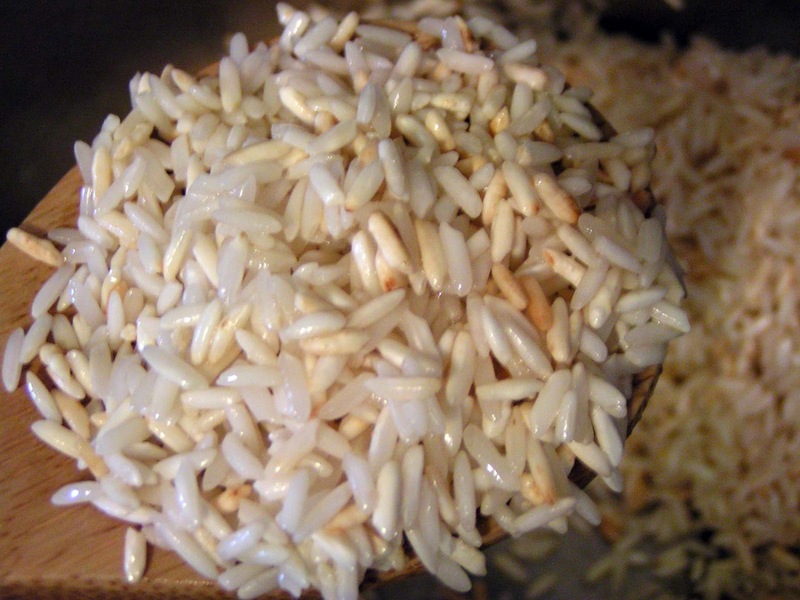 How to make the best fluffy rice without a rice cooker. In a medium saucepan, melt the butter. Add the rice and toast it until it looks like this. You don’t want all the grains to be browned, but a mix of both. The pot is hot at this point so the water will start cooking right away. Bring it to a boil. This recipe can be doubled as needed. Love the idea of the kitchen know how series!!!! I am so glad! Thank you, Beth Michelle! Thanks for all these valuable tips! I usually don't add butter in my cooked rice and I can't wait to use your recipe for my cooking. Thank you, Zoe! Let me know how you like it! I am using this recipe for my brown rice! Mmmmm, brown rice 🙂 Enjoy! Thank you, Natalie! Ooooh, I wish I had! 🙂 Thank you, Hester! 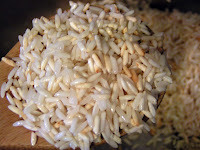 Perfect rice and we make this all the time too :)Goes so well with our Indian Curries :)Yours is the perfect texture! It looks very fluffy. What kind of white rice did you use? Thank you, Angie! I used good ol' long grain white rice. Fluffy rice is good! Great post! Yay! I am so glad you like my tip, Anne! Thank you so much! Made some disappointingly crunchy rice last week so you know I WILL be trying this. Don' know why I've never thought of trying this, it works for rice-a-roni. Thanks for the tip. great tip! i usually use a rice cooker, but it is definitely good to know how to actually make it on the stove! We also usually make it on the stove at home but it certainly has never turned out as beautiful as yours! I have never made rice on the stove. Being half Asian I have always owned a rice cooker, that being said it's actually good to know how to make rice on the stove top as a rice cooker isn't always handy. I agree! Thank you, S.V.! I really like finding a post that has a good recipe and I can walk away with more knowledge! The tip about the toasting is good to know. I do like to eat seasoned rice dishes now and again, so this will benefit me. Thanks for sharing this. I am so glad that you find it useful! Thank you, Tina!